What were the best dad movies of 2010? Home » Dad » What were the best dad movies of 2010? As movie buffs across the country start to catch Oscar fever, there are a number of arguments that are beginning to heat up. Who will win Best Picture? Best Actor? Best Director? While it seems like there is a category for every film, there is one that's missing: Best Dad Movie. Luckily, that's where we come in. This category combines everything that dad's love. Beautiful women, intense action, gripping drama – and a slightly unbelievable plot. So, without any further ado: The five nominees for Best Dad Picture of 2010. 1. True Grit. It doesn't get much more manly than a Western – and this one is the best cowboy flick in recent years. 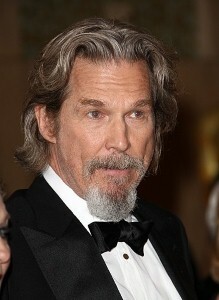 Based on the the novel by the same name, True Grit is also nominated for Best Picture and features a compelling performance by a grizzled Jeff Bridges. It also culminates in an epic showdown (score). 2. The Fighter. The Academy got it right again,as as this flick is also nominated for Best Picture. Mark Wahlberg stars as the downtrodden boxer Micky Ward, a real life Lowell, Massachusetts, native who had to battle his way to boxing glory. In addition to a motivational story, the film features strong performances from Christian Bale and Amy Adams. 3. The Town. Ben Affleck may have starred in some of the worst movies of all time (Gigli, Daredevil and Jersey Girl, just to name a few), but he has started to redeem himself as a director – case in point: The Town. This Boston-based crime thriller has everything. Action, drama and a climax rivaling some of the best movies in recent years. Throw in an Academy Award nomination for Jeremy Renner and you've got the whole package. 4. The A Team. No it wasn't even in the Oscar discussion, which is a real shame. This re-imagining of the classic '80s TV show is about as good as it gets. With Bradley Cooper as Templeton "Face" Peck piloting a tank falling out of a plane, Liam Neeson being awesome and Jessica Biel looking like she usually does, what else could you ask for? 5. The Expendables. It's as if this movie was made especially for dads. What do you get when you take every action star of the last 30 years and put them together in a movie? An explosion of awesomeness. Dolph Lundgren, Sylvester Stallone, Jason Statham and Jet Li (to name a few) combine for 90 minutes of shoot first ask questions later that leaves you wanting more.